Derek Kief - Class of 2014 - Wide Receiver: 2014 JJHuddle Top 100 Ranks WR Derek Kief #1 Football Prospect in Ohio! 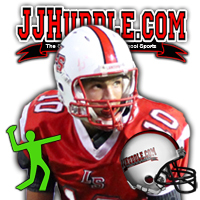 2014 JJHuddle Top 100 Ranks WR Derek Kief #1 Football Prospect in Ohio! Congrats Derek for being named the #1 football prospect in Ohio! The staff at JJHuddle.com, Bucknuts.com and ScoutingOhio.com collaborated to select the Top 100 football prospects for the class of 2014. JJHuddle.com and ScoutingOhio.com focus 100% of their efforts on Ohio athletes and Bucknuts.com is the Ohio State Football & Recruiting source for 247sports.com. Below are the first 25 of the Top 100. To see the entire Top 100 which includes verbal commitments, offers and stats...CLICK HERE.